The national 3-PL-operator UVK Ukraine has concluded a contract for transportation services with the Ukrainian food producer TM YASIVKA. For the brand YASIVKA UVK Ukraine provides “door-to-door” delivery of goods: from the supplier to the distributor. Thus, the team of UVK specialists has undertaken the obligations for the independent organization of transportation and timely delivery and safety of the cargo. 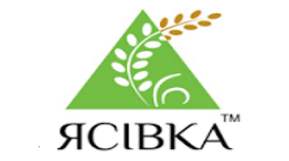 TM Yasivka is engaged in the sale of a wide range of healthy food products throughout Ukraine. The accumulated experience in the delivery of food products allows the company UVK to provide the services of the highest quality. UVK is regularly improving the business processes and increasing the level of services. Delivery throughout Ukraine and abroad, own vehicle fleet, focus on results are the key principles of running business. “We are interested in a long and fruitful cooperation with the company Yasivka, and in the future we plan to develop other areas,” says Oksana Rudova, Regional Manager of UVK Ukraine. The leading national 3PL operator UVK is a perspective and dynamically developing cargo transportation company. The company provides complex logistics services: cargo transportation, “SharedStock”, cargo storage, handling of legal, analytical and information documentation, planning of delivery, storage and handling processes etc. Due to this the transportation costs of the client are reduced allowing concentrating completely on the development of its business. Reviews about UVK characterize the company as a reliable partner in the field of cargo transportation, aimed at mutually beneficial long-term relationship with the clients.